Now that we have two way communication working let’s add a couple more LEDs and two more switches. Although I use a HC-06 in the below examples the HC-05 in slave mode can also be used. Using MITs app inventor it is fairly easy to create an app that can turn a LED on and off from an Android device. 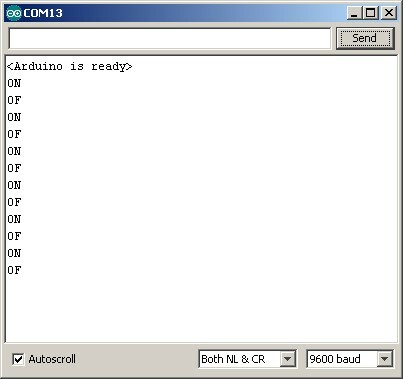 This is a fairly simply example of sending commands to the Arduino to turn a LED either on or off. 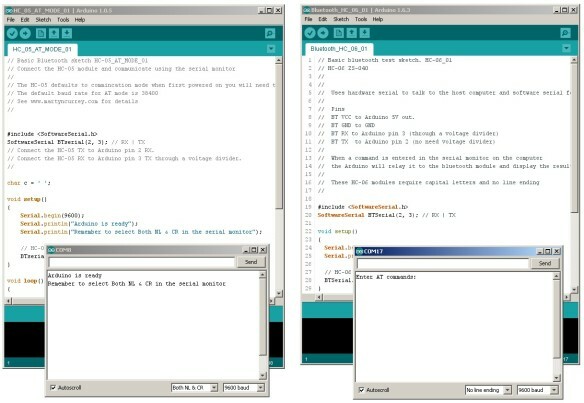 The Android app sends ascii codes to the Arduino via the HC-06 BT module; “ON” for on and “OF” for off. 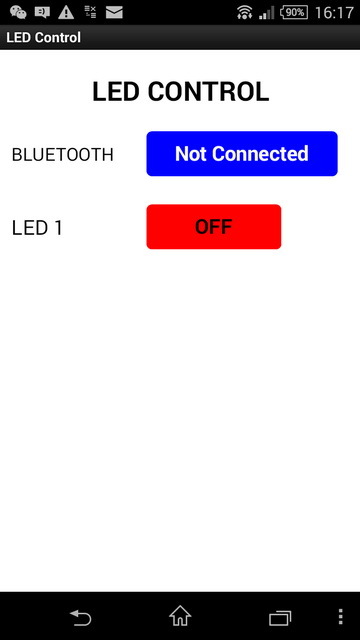 Load the app, connect to the HC-06 and then use the LED button to turn the LED on and off. The HC-06 is a slave only BT module that is fairly easy to use with the Arduino using serial communication. 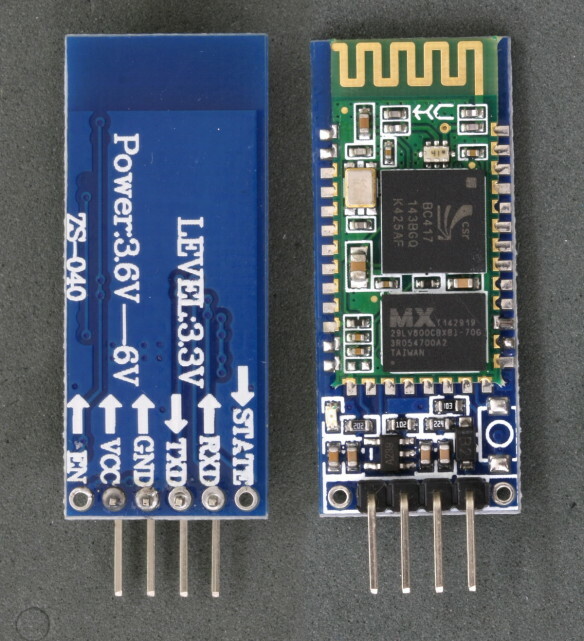 Once it is connected it simply relays what it receives by bluetooth to the Arduino and whatever it receives from the Arduino it sends to the connected device. 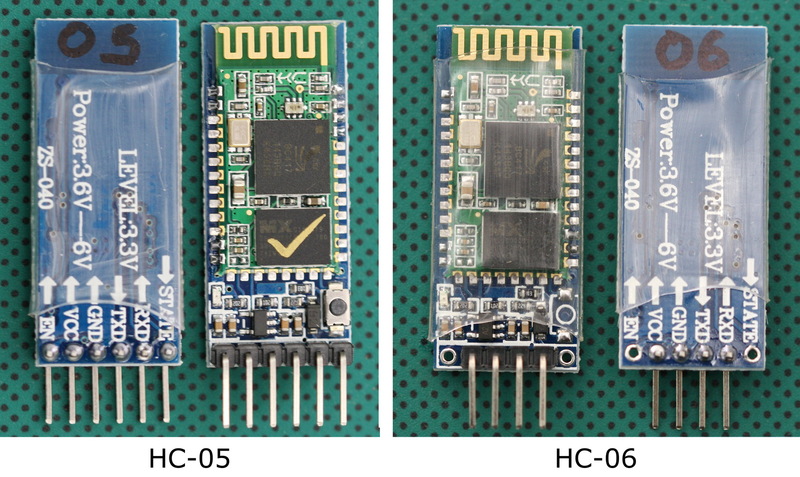 There are several slightly different versions of the HC-06, however, all seem to use the same firmware and have the same AT commands. The ones I have are labelled as zs-040. 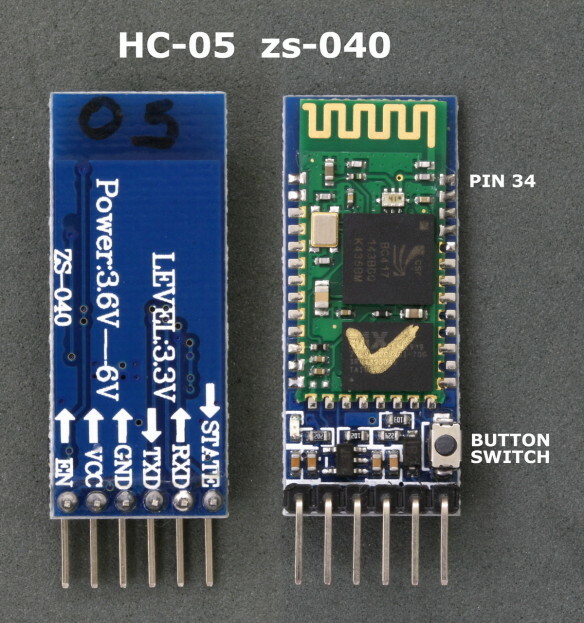 I also have some HC-05s which share the same PCB and are also labelled as zs-040. The HC-06 defaults to AT mode at power on. 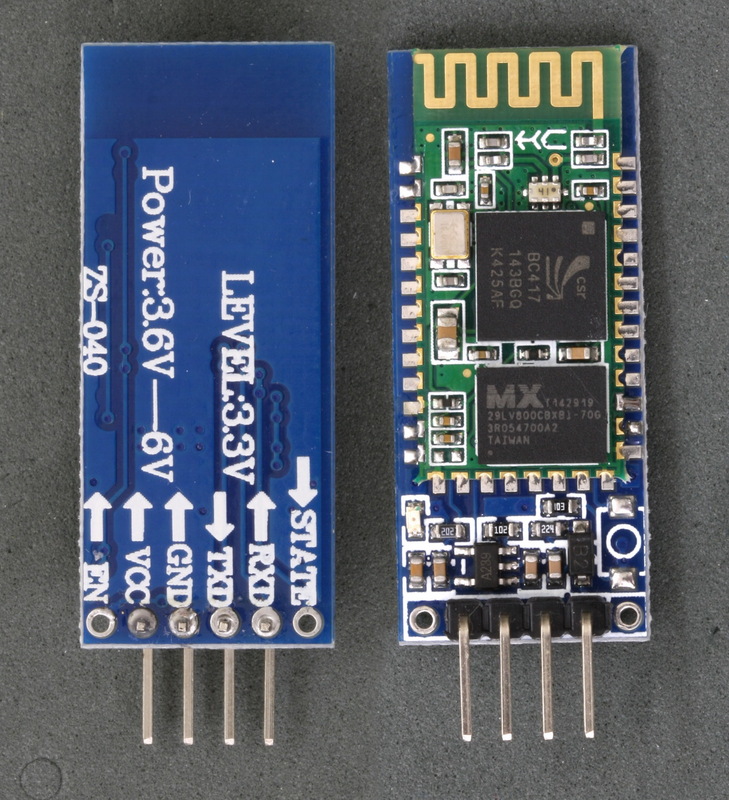 This is indicated by a rapidly flashing LED. After the HC-06 is connected to another device the LED stops flashing and is constant on.